~ ~ ~Jayne Stamps ~ ~ ~: Spiders -- ewww! Personally, I'm not a fan of spiders. I don't know why something so small can give me the shivers like that. If I'm the only one in the house and I spot one, I'll take care of it (usually with a shoe or slipper), but otherwise that's what I have a hubby for, right? 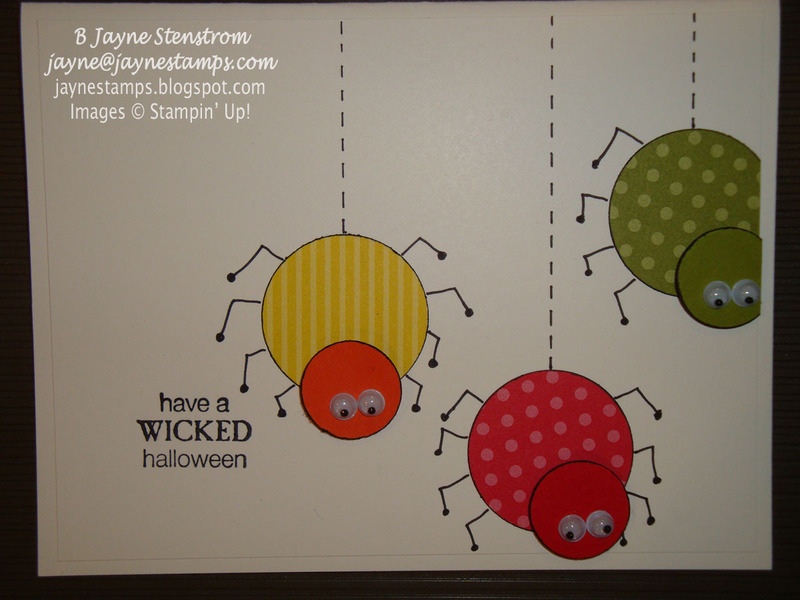 However, the spiders on this card are just TOO CUTE - wouldn't you agree? I don't think they would leave any cobwebs hanging around your house. Another Ornament - with a Special Offer!